This is a rather traditional recipe that is used throughout England and dates back many many years. 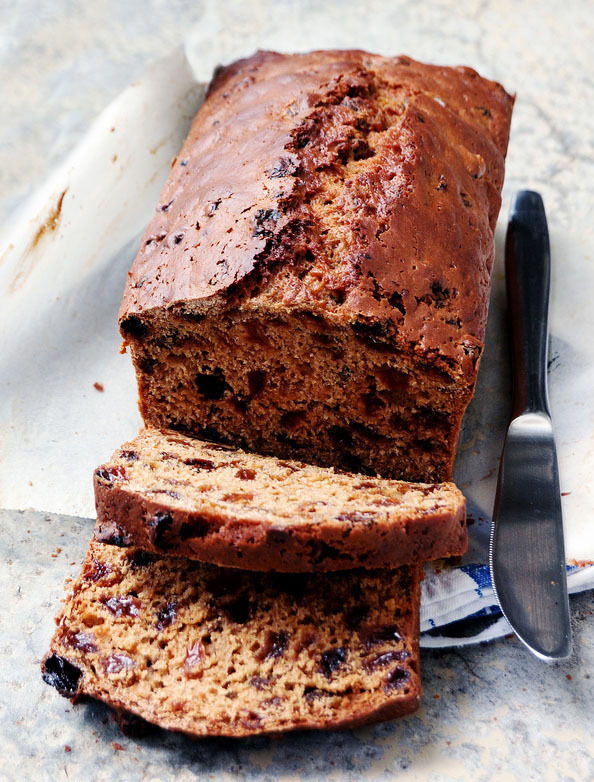 Often, with afternoon tea, a slice of spiced fruit loaf was served… Here I’ve decided to share the recipe that my nan passed down to me. Preheat the oven to 180⁰C (160⁰C if using a fan assisted oven). Line a bread tin with grease-proof / baking paper, and lightly grease. Sieve flour, baking powder, bicarbonate of soda and mixed spice together in a large mixing bowl. Using your fingertips, rub in the margarine / butter. Still using your hands, add the sugar and dried fruit. When thoroughly mixed, stir in the egg and milk until the dough holds together firmly. Place into the bread tin. Place on the middle shelf in a preheated oven for approximately 1 hour (or until cooked through – use a skewer to test). Allow to cool in the tin before lifting out and placing on a cooling rack.